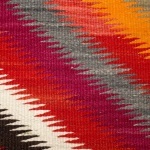 This piece is woven of incredibly soft, Churro long staple wool. 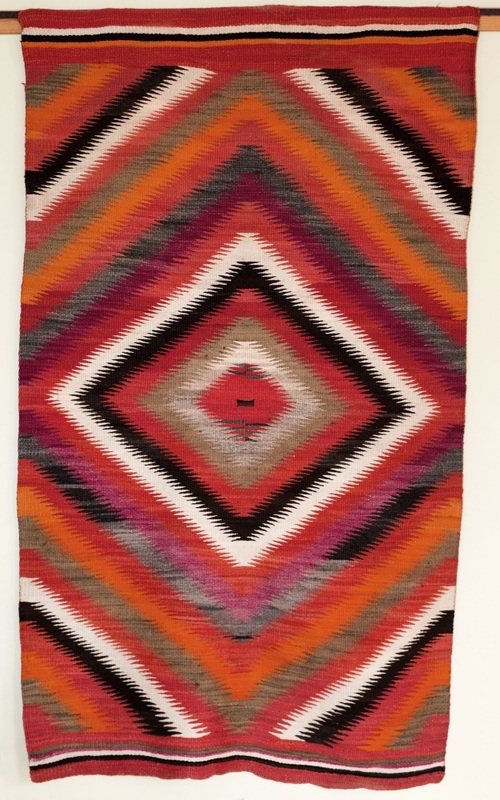 It is from the transition period of blankets to rugs. 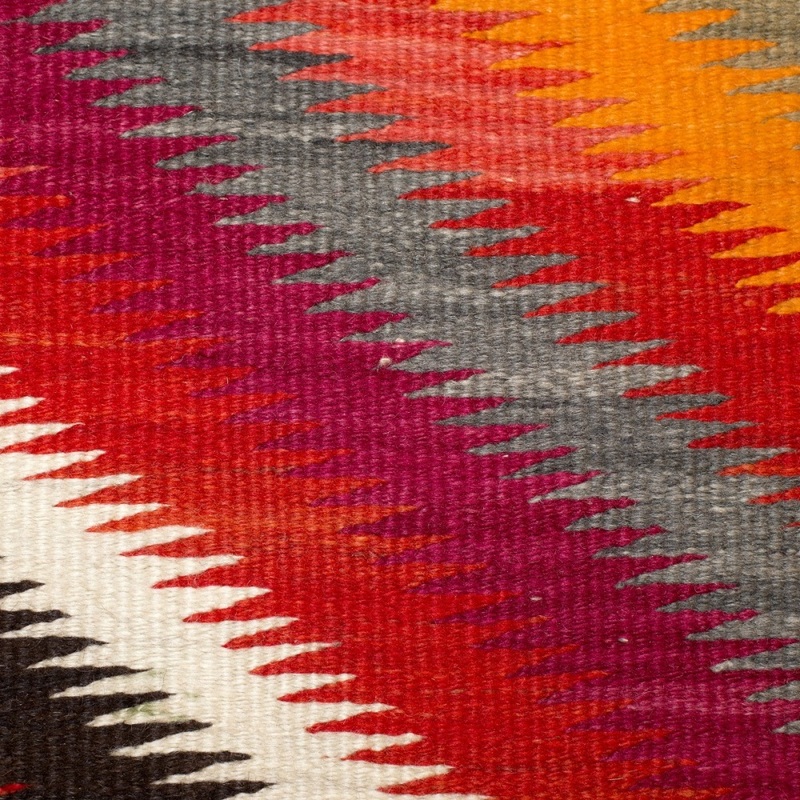 The palette is not common in today's weavings, but was often seen during the late 19th century.